Miss Molly Doll: Saving, saving....SHOP! This lamp was a great find on Gumtree, and it was only around the corner from out house! We were lucky that someone else never showed up to look at it, so we scored it for a neat $50 (hey, that is cheap in Australia!) I can not wait to have this in our future lounge room, sitting on our danish-style lounge reading a book (or blogs) under the lamp...one day! If you haven't seen or heard of Luxulite, check out their Etsy shop for lovely jewellery and brooches...I went a little mad but it was worth it! I also have a few things on lay-buy at my friend's shop, which includes this stunning dress...it is a deadstock polished cotton boned dress, with plastic-ish roses sewn on, and with a shawl....it is the most expensive dress I have bought so far, but if I was to find this beauty in Sydney, Melbourne or etsy it would be twice the price! I can't wait to wear it out. A girl has to treat herself every now and then, don't ya think? What are your latest purchases or bargains? It's good to see you here again ! Thanks! I have been a little lazy with my blogging but I plan to get back in to it more. Holy cow! 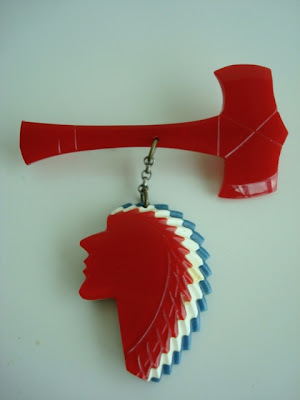 Cool finds - especially that Indian Head/Tomahawk pin! Oh my goodness that brooch is AMAZING!!!! 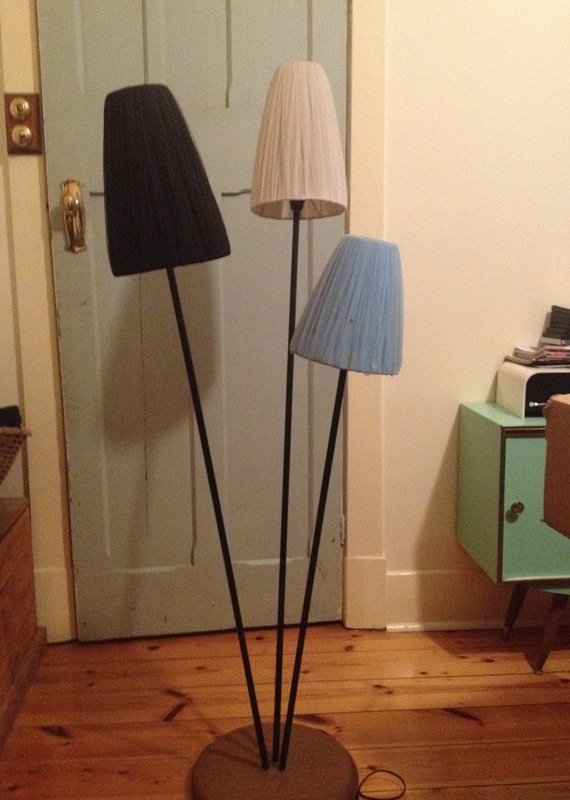 I can't believe you found those fabulous lamps on Gumtree, I've never seen anyone put anything good on the Brisbane one. oh, this dress is fabulous!!! great buy. sadly luxulite is on holiday now. i have to ckeck them out later.